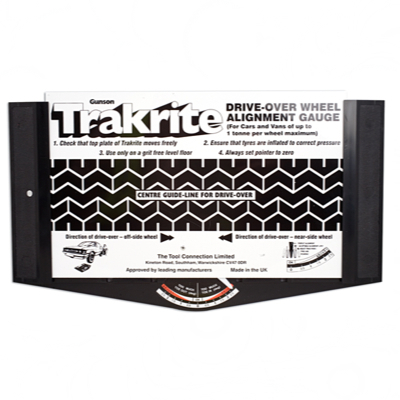 Trakrite is the simplest, most accurate device for checking the alignment of the steered wheels of car and light commercials. 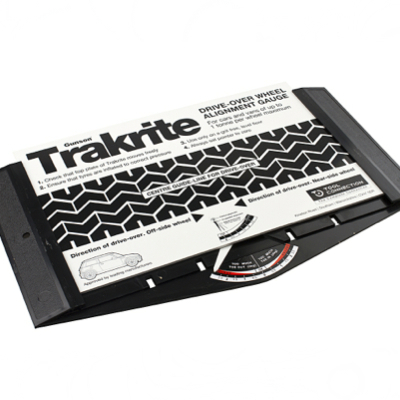 It is a roller bearing platform over which one front wheel is slowly driven with the wheels in their straight ahead position. 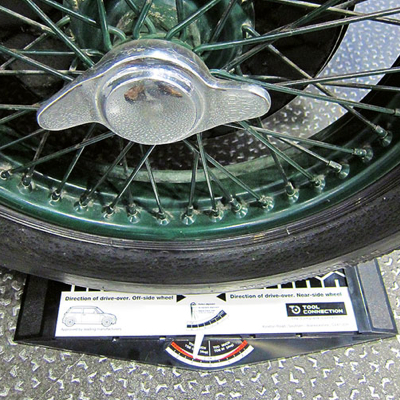 Checks the alignment of steered wheels on cars and light commercials. It is a roller bearing platform over which one front wheel is slowly driven with the wheels in their straight ahead position. 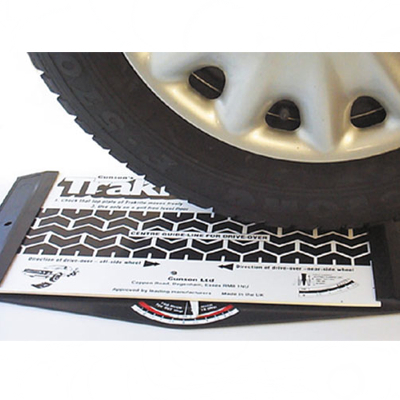 Tests accuracy in only 5 minutes. Easy and simple to operate with no technical knowledge needed. Easy to follow instructions.